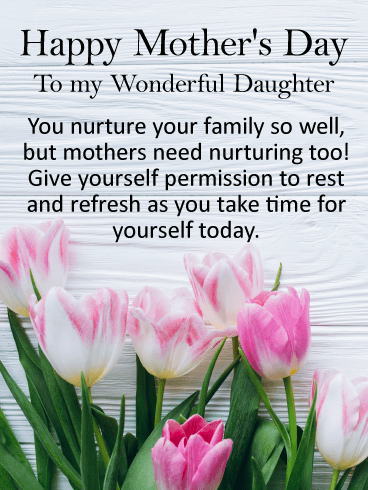 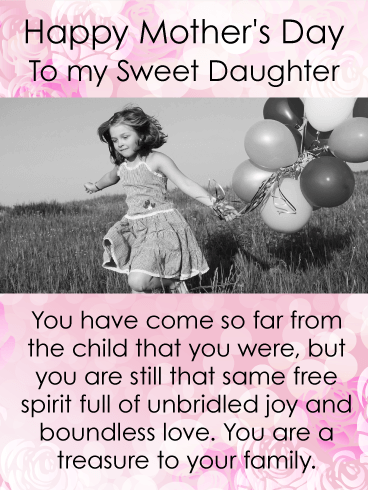 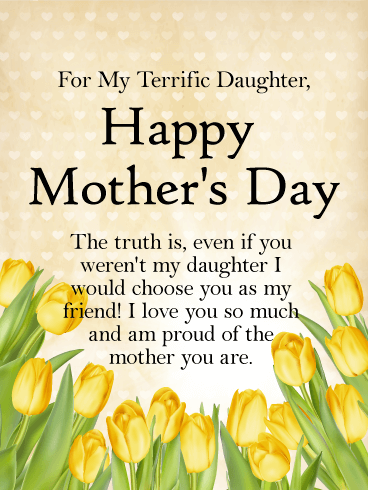 For My Terrific Daughter, Happy Mother's Day - The truth is, even if you weren't my daughter I would choose you as my friend! 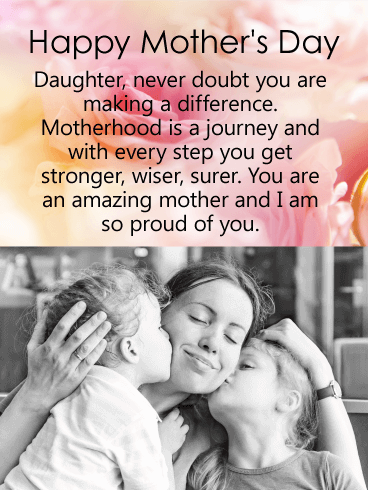 I love you so much and am proud of the mother you are. 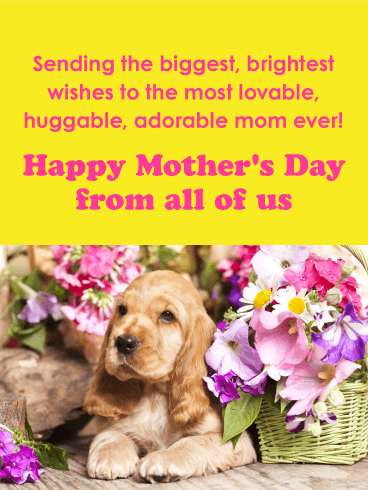 A cute little puppy and bunches of bright, beautiful flowers is the best way to wish a "lovable, huggable, adorable" mom the happiest Mother's Day of all! 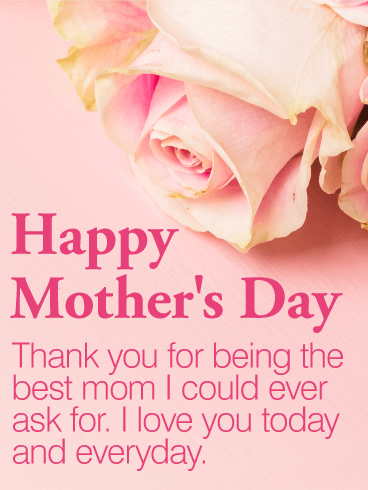 Whether you're there with her celebrating, or sending your love from miles away, she'll always remember your sweet gesture. 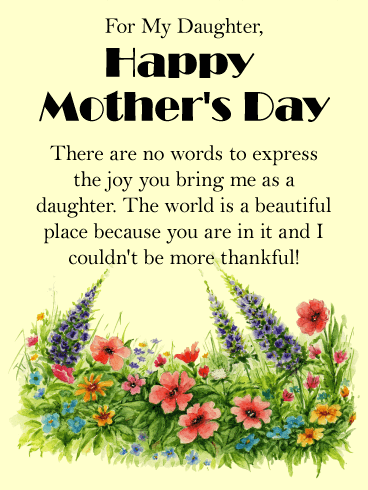 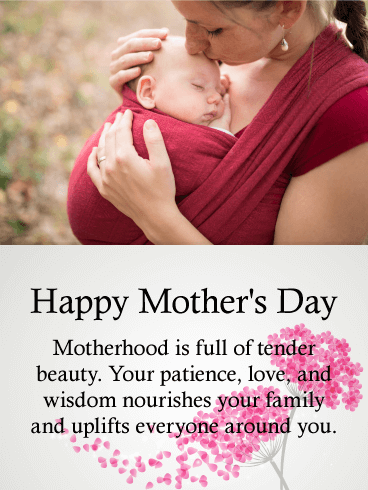 A lovely butterfly, gently hovering over bunches of delicate flowers, is a warm reminder that mom is the one who will always lift you up, and who loves you endlessly. 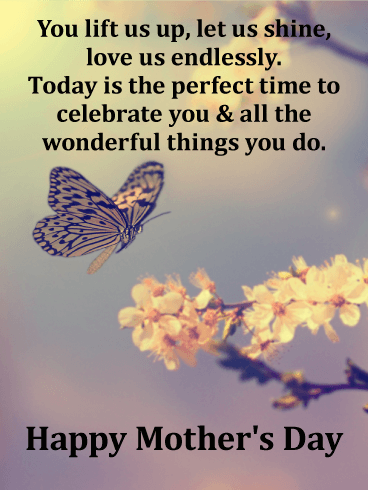 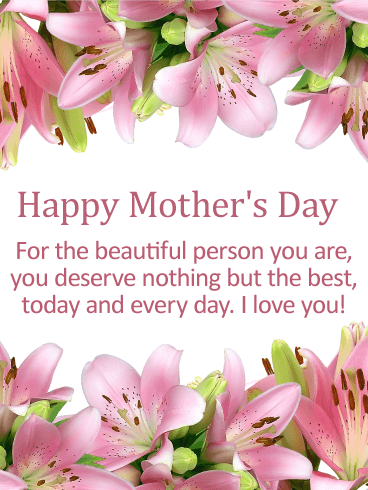 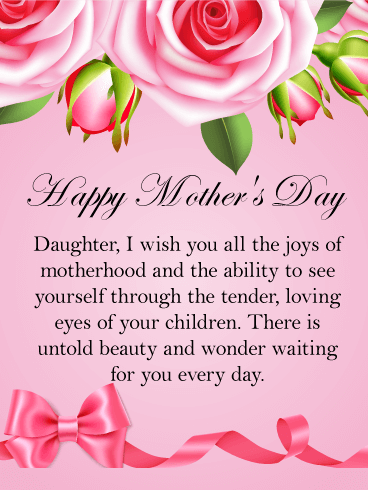 Send this heartfelt Mother's Day card to an amazing mom to help her celebrate and feel special from start to finish. 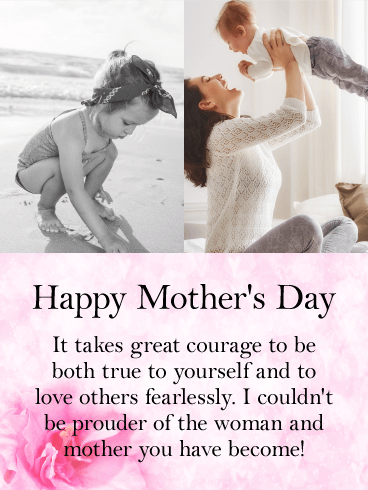 There's no one more loved than a mom: especially on Mother's Day. 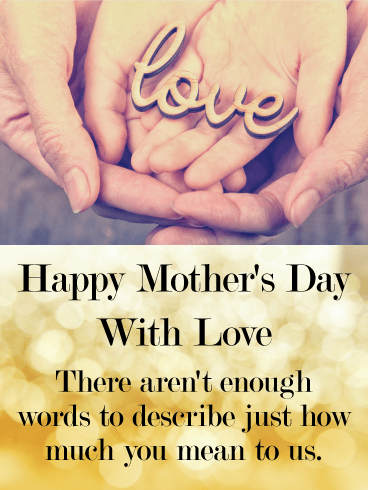 Remind a special mom how much she means to all of you with this heartfelt and beautiful card, featuring hands closely holding the word "love" above and a shimmering gold background below to let her know she shines the brightest of all.